Originally from Houston, I completed my undergraduate at the University of North Texas, double-majoring in Materials Science and English. 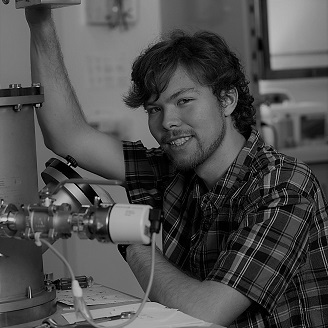 My undergraduate research focused on shape memory alloys under Dr. Marcus Young. I continued SMA research over summers in Japan (at NIMS). I try to stay active with Ultimate Frisbee and racquetball, and I also enjoy reading, writing, and chess. At Northwestern I'm researching a new family of W-free Co-Nb-V superalloys, which will be lighter than other Co-based superalloys and may have higher working temperatures than Ni-based superalloys. The project involves alloy creation, characterization, and computational modeling-and if the alloy enters the commercial market, higher efficiency turbines will lower worldwide emissions on a terawatt scale.